The month of December marks a number of community events from Christmas concerts, annual award nights, church functions, tree lighting, breakfast/brunch, socials, appreciation dinners, Santa visits, dances, hockey tournaments and of course the Christmas parade. On the tip of the Great Northern Peninsula there is so much activity. It shows signs of an active volunteer base, supporting strong, vibrant communities as each place offers something unique to bring together residents to enjoy a sense of community, a sense of involvement and just exudes the spirit of Christmas. I plan to focus, primarily on parades given they were hosted in St. Anthony, St. Lunaire-Griquet, Flower’s Cove, Conche, Englee, Main Brook, Roddickton, Bide Arm, L’Anse aux Meadows, Hay Cove, Noddy Bay, Straitsview, Savage Cove and Anchor Point. Weather postponed the St. Lunaire-Griquet Christmas parade and the event was held the following Saturday and I was unable to attend. If there are people who have photos this parade and are willing to share, please email mitchelmorec@hotmail.com. Flower’s Cove (December 13th) – Held on December 14th, 2014 which enabled me to attend. This event was originally scheduled for December 19th, but weather greatly impacted the viability of a successful parade. The event was held on Monday, December 22nd and I was unable to attend. If anyone has a few photos they would like to share, please send to mitchelmorec@hotmail.com. If anyone has photos of this event and would like to share, please send to mitchelmorec@hotmail.com. I had committed to attending the Roddickton-Bide Arm parade several weeks in advance. There was much time, organization and volunteer efforts put forward by many community leaders, business and residents to ensure these Christmas parades and a host of other activities were successfully held on the tip of the Great Northern Peninsula, some for 50 years. The people of the Peninsula continue to make big things happen in small communities! Let’s keep building in 2015! If These Fishing Rooms Could Talk…. 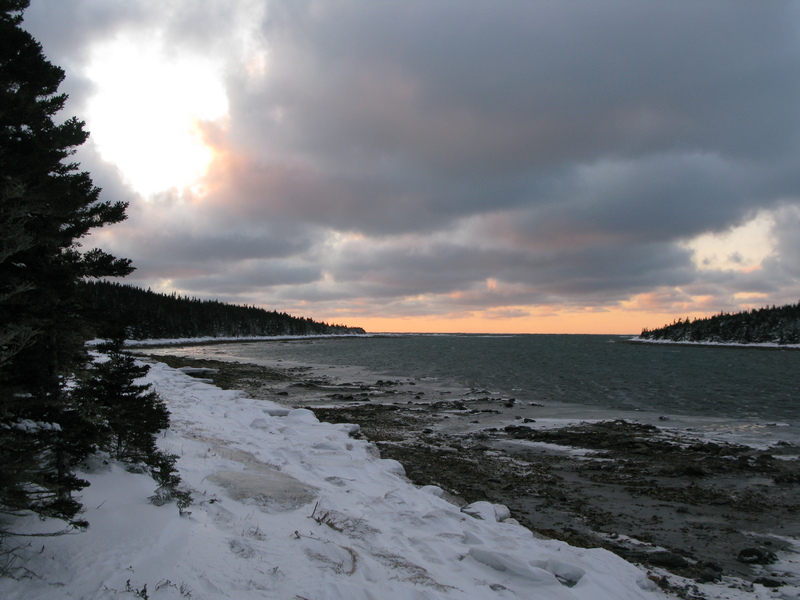 The Town of Anchor Point on the Great Northern Peninsula is the oldest English settlement in the area settled circa 1740. It was settled due to the rich fishing resources, where residents set-up winter housing at Deep Cove (a national historic site). Today the community remains the key employer in the Straits from Eddies Cove East to Anchor Point, given the presence of a secondary shrimp processing facility, numerous fishing enterprises and services related to this industry. 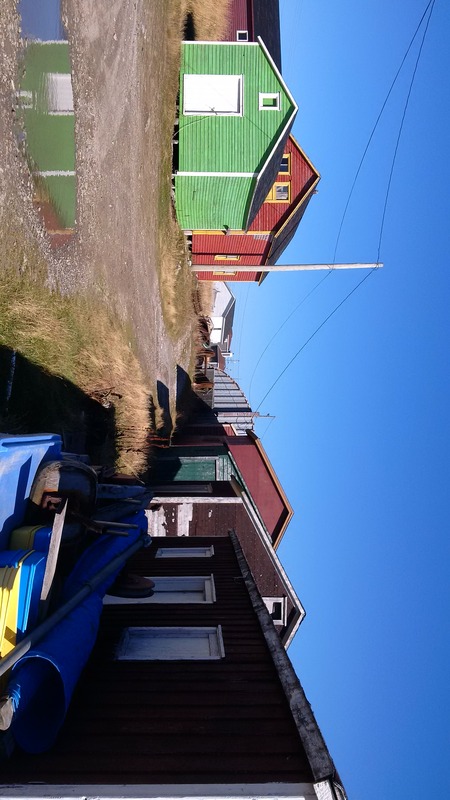 If these bright fishing rooms could talk, they would tell a story of economic growth and prosperity the fishery has brought to the Town of Anchor Point for more than 200 years. This community is bucking the trend of most rural communities, as it has a younger population, with a full bus load of children heading to school each day and new housing additions being added annually. There are rural success stories, on the Great Northern Peninsula and across the province. The Town of Anchor Point is a great place to live, work or invest. There are opportunities to continue to expand our fishery and provide additional recreation and services for residents. Further diversification can be pursued in developing cottage industries, technology, co-operatives, social enterprises and private business to capitalize on a growing rural economy. 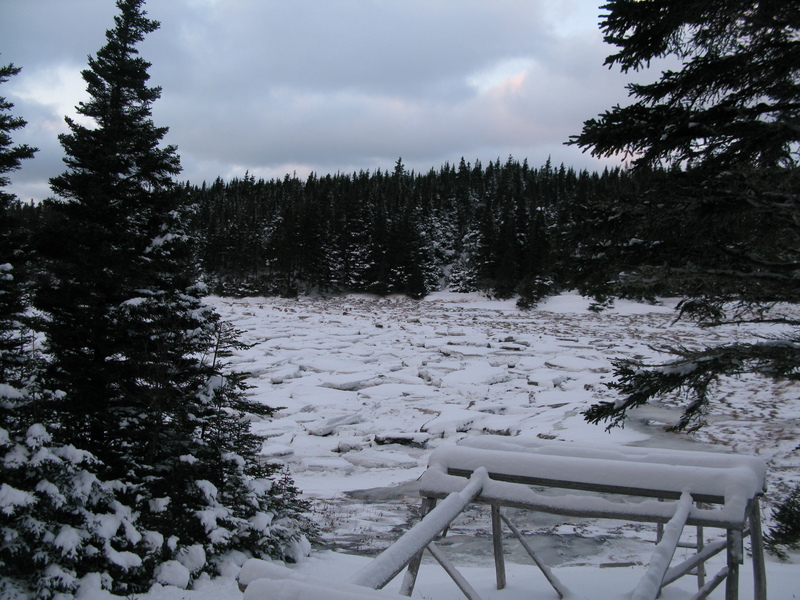 Deep Cove Winter Housing Site on the Great Northern Peninsula is a wonderful place to visit year-round. I had the opportunity to visit with a group of teachers as we toured several communities in the Straits. 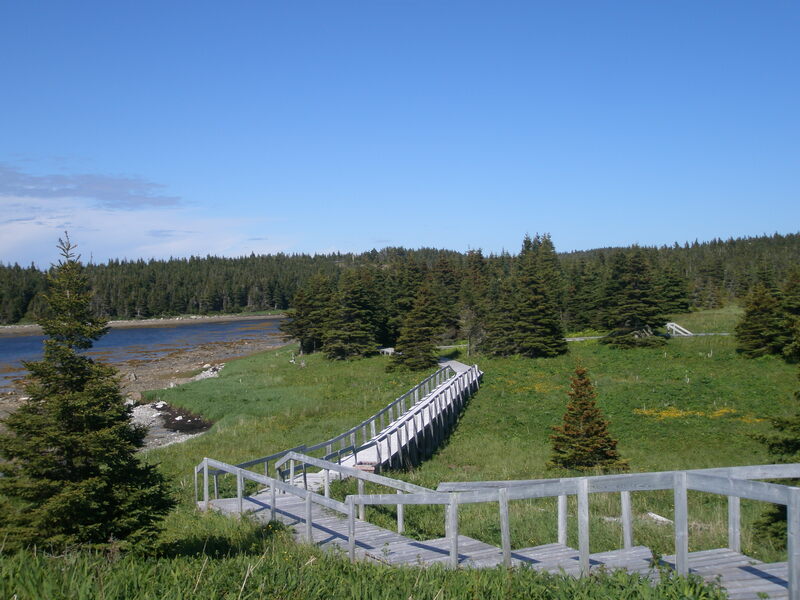 A 1.4 KM boardwalk loops around the site, with a new trail developed through funding assisting the Straits Development Association to expand a trail to the beach. Anchor Point, NL has declared that it is the first English settlement on the Viking Trail (Route 430) on the Great Northern Peninsula. The Town was first settled circa 1740 by Robert Bartlett and his nephew Bob Genge from Somerset, England. The area was used for fishing, sealing and trapping which led to the establishment of merchant trading posts bolstering its local economy. During summer, the settlers of Anchor Point had taken up an abundance of activity that surrounded the sea, as the rich waters could be viewed from any resident window. However, during winter the families moved inland to smaller homes they built in Deep Cove just a few kilometers to the south. Some shared houses with other families. 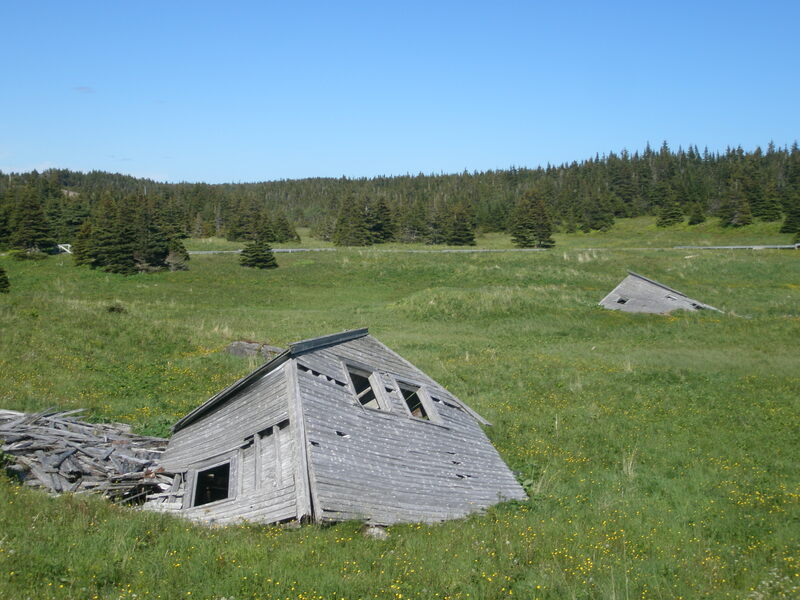 This enclosed site provided to be more efficient and protected the settlers from the elements and harsh conditions in rural Newfoundland during the 19th and into the 20th century. Settlers would move back to their permanent homes in Anchor Point after winter. Deep Cove is noted as the last inhabited winter housing site in Newfoundland. A beautiful board walk and walking trail leads you to the site. As you walk where past residents before you walked there are interpretative panels noting the history of the community, how houses were built, what residents did for fun, the role of education/religion/man/woman and explanation of several structures and necessities. In 2012, funding aided with the development of adding miniature replica houses and structures along the board walk. Further funding to develop the trail network through job creation partnerships occurred in 2013-2014. A piece of history awaits your eyes… make sure you take the time to reflect on our past. We have such a rich culture and history on the Great Northern Peninsula. Scenic Deep Cove – could there be a place that grabs ones attention? 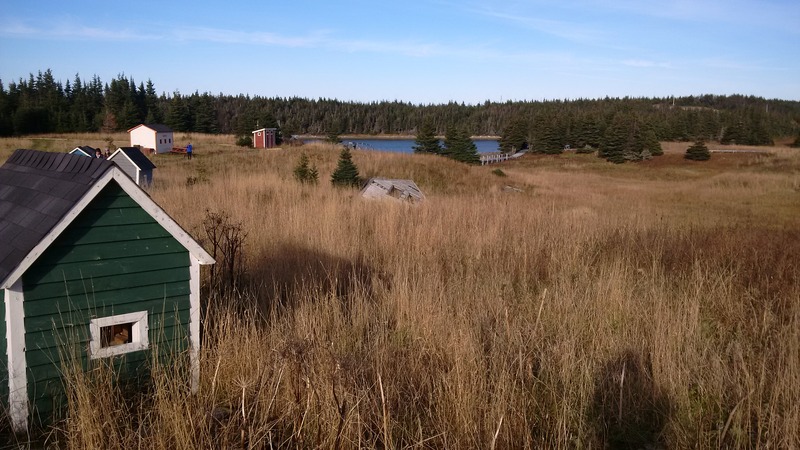 This photo earned its place as the header for the Live Rural NL blog banner and is my current screen saver. Deep Cove may be one of the areas well-kept secrets, as it has so much unrealized potential. The local development association continues to pursue funding to bring the site up to par so one can be educated about “Winter Housing” and also experience what life was like having to move from the summer home to a winter site. Along the trail I have capture the broken ice pans that have filled the mouth of the cove. The wooden structure in the bottom of the photo above was used by two men and a long pit saw to produce lumber to build homes, boats and other necessities. People worked with what they had, and certainly used common sense, building on a hill to reduce the workload. A boardwalk takes you along the valley nestled between the trees, which provided the protection from the elements. Along the way are panels explaining the people who lived here and what their life was like. All that remains are a couple of fallen houses. They should be erected and the winter housing site developed as a working village. Imagine in summer the rein-actors could be planting a garden, drying fish on flakes and maintaining the homestead as they would throughout the years. The opportunity for winter tourism is even greater with dog sledding, snowshoeing, skiing, ice-fishing and more. There could be lessons provided, accommodations and food in an experiential package. Location is ideal, as there is an adjacent ski hut and trail system. During summer, why not have campsites and offer a nature park? 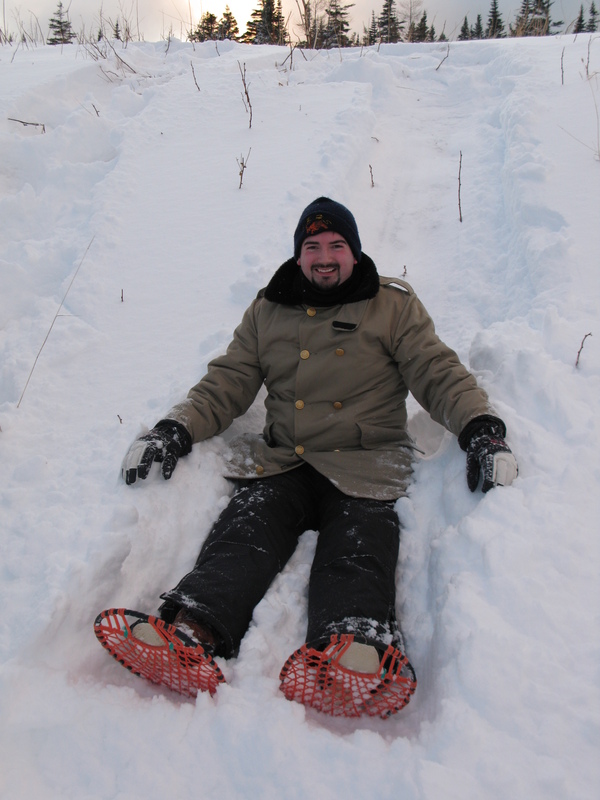 In the meantime, I will enjoy some childhood fun and slide down the hill! Be sure to visit Deep Cove, just a few kilometres from the Town of Anchor Point. I had the opportunity to visit Deep Cove – A Winter Housing community, which neighbours the Town of Anchor Point and has historical significance as Deep Cove’s inhabitants have strong ties to Anchor Point. During summer, the settlers of Anchor Point had taken up an abundance of activity that surrounded the sea, as the rich waters could be viewed from any resident window. However, during winter the families moved inland to smaller homes they built in Deep Cove. Some shared houses with other families. 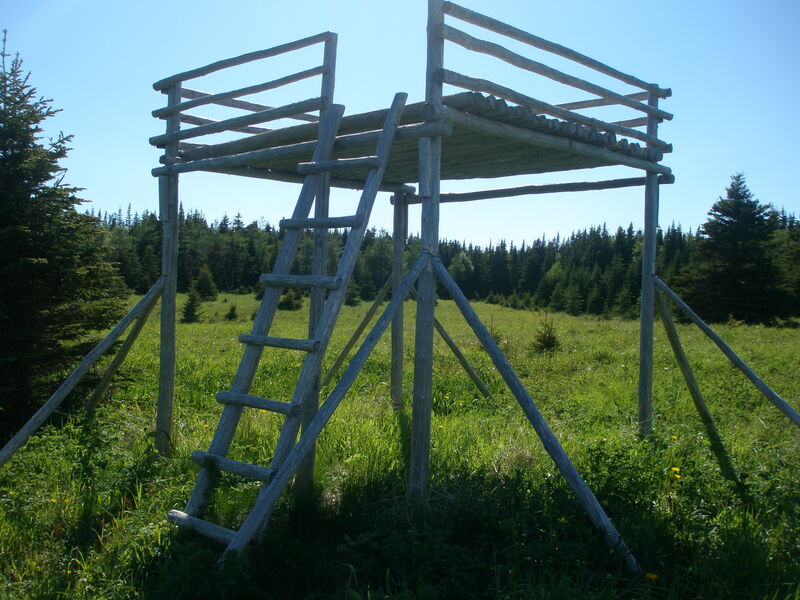 This enclosed site provided to be more efficient and protected the settlers from the elements and harsh conditions in rural Newfoundland during the 19th and into the 20th century. Settlers would move back to their permanent homes in Anchor Point after winter. Deep Cove is noted as the last inhabited winter housing site in Newfoundland. A beautiful boardwalk and walking trail leads you to the site. As you walk were past residents before you walked there are interpretative panels noting the history of the community, how houses were built, what residents did for fun, the role of education/religion/man/woman and explanation of several structures and necessities. A piece of history awaits your eyes… make sure you take the time to reflect on our past. 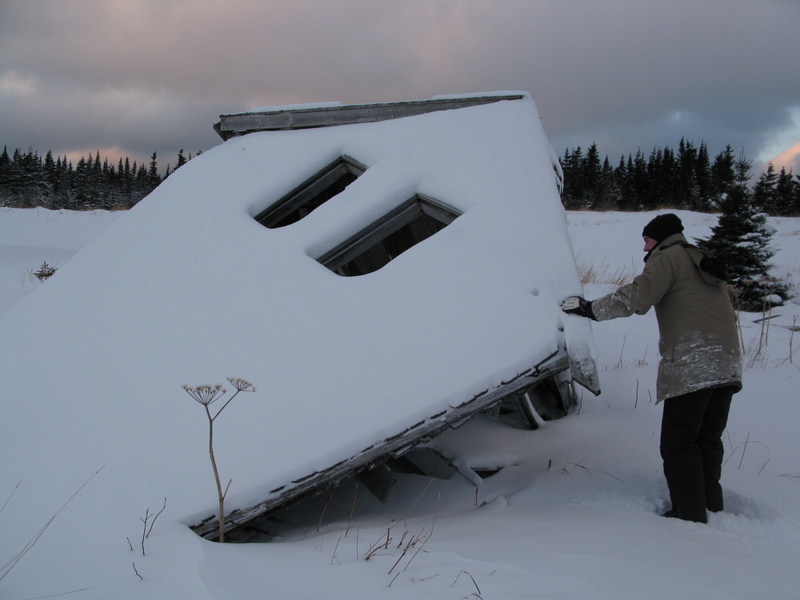 While there you can note that you do have cell coverage and data browsing capabilities, which will probably help establish why modernization through the years led to a cultural evolution, one that no longer required Winter Housing sites. Would moving to smaller homes in the winter, surrounded by our neighbours help re-establish a stronger sense of community where we all dance the night away?